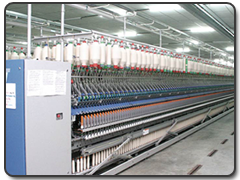 Jagannath Textile Company Ltd., (JTCL) though a relatively new venture, has made remarkable progress in spinning quality yarn. Jagannath Textile Company Ltd., has an huge production capability, productivity and a committed team of skilled workers and efficient staff numbering approximately 1000. 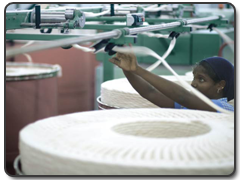 Jagannath Textile Company Ltd., manufactures yarn in the count range of 4's to 40's in Open end and 20's to 60's in Ring Spinning. 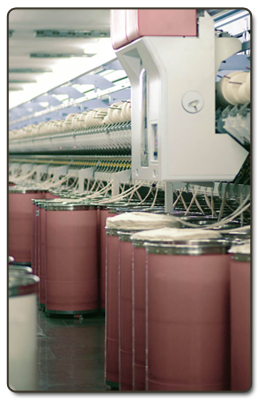 Its Forte lies in catering to all type of markets which require superior quality yarn for various applications. The company has facilities to produce multiple types of yarn simultaneously in cheese and cone form through both Automatic and Semi Automatic machines. Open end yarn in cheese from is available in packages upto 4 kgs. Yarn is available in hank form also in SHPR/DHCR/DHPR. The fully integrated plant stands as a testament of our commitment to world-class quality. Not only is it build with every conceivable amenity, th plant is designed for a seamless single line material flow - raw material entering the processing system at one end and finished products comming our at the other. 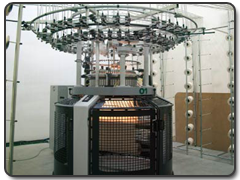 This process is facilitated by state-of-art machinery installed for manufacturing high quality yarn and the end-to-end automatic material handling system eliminates manual handling anywhere during the process. The safe measures are equally impressive. The factory is equipped with th very latest in fire hydrants, Lighting arresters and automatic sprinklers. Total Confromance to nominal count with microcomputer control for quality and production. Intensive cleaning with excellent fibre orientation system especially for the removal of seedcoat Fragments, Trash, Neps adn Micro Dust. Draw Frame.High quality standards, Most consistent long term count stability through precise scanning. 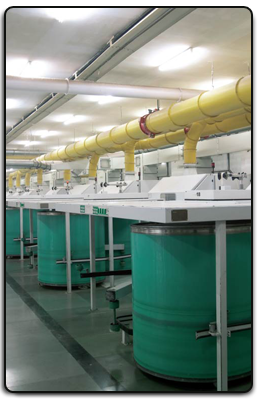 our speciality of the unit enables production of multiple types of yarn at a time, simplifying the entire manufacturing process. Different varieties of yarn like the electronically cleared yarn, without eyc, warp yarn, weft, hosiery yarn, slub yarn, doubled yarn, contamination cleared yarn all can be produced at a time. Open End yarn can be spun from both 100% virgin cotton as well as from mix of cotton and cotton waste. Varieties are named Platinam, Gold and Silveras per th mixing type. Ring Spun yarn is spun from the highest grade virgin cotton and can be supplied in both Combed and Carded. This yarn can be supplied for both Knitting as well as for Weaving requirements. Jaganath also manufactures woven and knitted fabric. Our commitment to environment is amply evident in how we go about our process. Water is treated with Reverse Osmosis System and supplied throughout the factory. Not just that, a very efficient rainwater harvesting system is also in place. 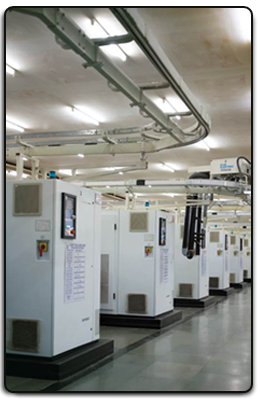 The factory's power requirement is fully met internally by a 5.4 MW power generation plant and 100% back-up facility.